The UK High Net Worth Database is the ultimate consumer list with unrivalled daily research and an unparalleled level of industry knowledge and innovation. The UK High Net Worth Database combines the best available data of shareholders, lifestyle and the Electoral Roll to provide a unique and highly cost effective product to suit all mailers of all sizes in charities, financial services and mail-order companies. The UK High Net Worth Database offers household makeup, all available financial data, company directorships, census data, postcode level affluence indicators, telephone numbers, response indicators, age indicators and purchasing and donation preferences. 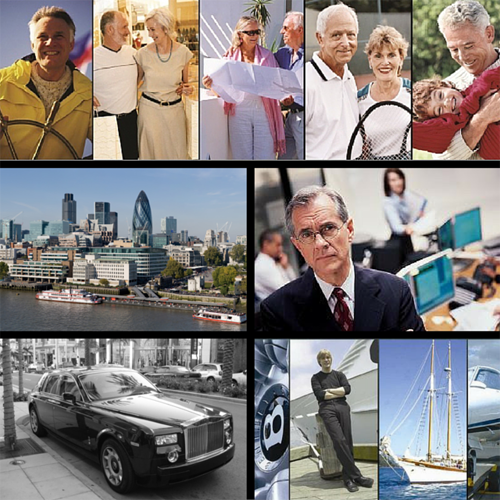 The UK High Net Worth Database is ideal for Wealth Management, Financial Advisors, Healthcare, Interior Designers, High End Fashion, Over 50s marketers and Charities. See videos here for examples of free profiling and analysis for Charities and Car Dealers.